Rainbow Six Siege is the 13th installment of the Tom Clancy series. The game features a counter-terrorism style of game modes with destructible environments. Siege also features no single player mode apart from Situations, which means more games take place on the Ranked multiplayer. R6 is an ongoing eSport and maintains a 6th position on Steams most played games regularly. Below you’ll find useful Rainbow Six Siege betting tips as well as available betting markets! Despite R6 not being as big as Counter-Strike or PUBG, it still has a thriving eSports scene and thus is a great way to bet. To maximize your winnings ensure you follow these tips and tricks! Study the international and local scenes of R6. This means taking a look into the larger teams and tournaments but also get involved in your regional area. Watch a few games of R6 and study the tournaments like you would on any other sport. Make sure that you are confident in your betting and bet wisely on different games. 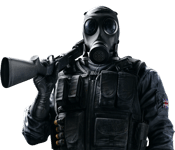 Although the three multiplayer game modes of Bomb, Hostage and Area Secure have relatively similar concepts behind them, the games can vary greatly and so it is good to bet across all three modes to make the most of R6. Like other eSports, players and teams can go through different pressures and roster changes so keep up to date with team news, even if it’s not your favorite team. Don’t take betting lightly, ensure you can accept losses as they come. In terms of betting markets, major betting companies such as Betway and Bet365 don’t offer much in terms of betting markets. Generally, it comes down to match winners and outright tournament winners, this is simply due to the unpredictable nature of eSports betting when compared to traditional sporting events. It is difficult for companies to estimate odds surrounding how many kills or actions a certain player or team will make during matches. This also comes as a somewhat relief as you don’t need to have extensive knowledge of each players to make smart bets. The money relies on the match outcome and that is most important in betting. There are many tournaments that take place throughout the year in R6. Most of the major tournaments have odds put on them so it is not a long wait to find games. Some of the larger tournaments host prize pools up to $50,000, indicating that money is being put into the game and thus making the betting scene more reliable. These are only the major events taking place, there are many other regional finals that are still ongoing so make sure to check those out. Much like CoD and other competitive games, there are several game modes within competitive play that can be bet on. These game modes generally require different skill types from players and teams to succeed. Hostage is an area that is unknown in the area of operation. Defenders must hold the hostage until the timer runs out, or they eliminate the opposing team. 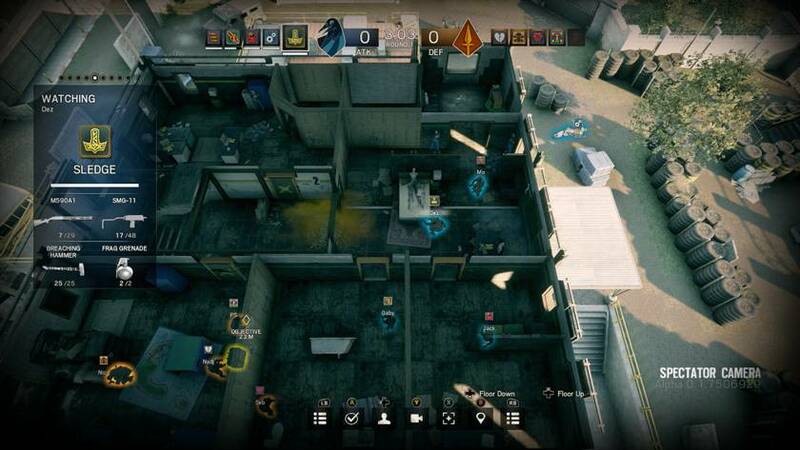 Attackers must eliminate the enemy team or rescue the hostage and take them to an extraction point without being killed by the defending team. If the hostage is killed, the team of the player who killed the hostage will instantly lose the round. Attackers must find the room containing the biohazard container and hold the position for at least 10 seconds. Defenders must prevent the attackers from locking down the biohazard by remaining in the area. The timer is stopped if defenders enter the room, therefore, it is key to eliminate all defenders to hold the position. Two bombs are placed in the objective location. Attackers must defuse one of the explosives by activating a defuser. Once the defuser is active, it takes 45 seconds to disarm the bomb. Attackers win the round if they disarm one or two bombs, or kill the defending team. Defenders must prevent the attackers from activating the defuser. Defenders can also disable the defuser if it is active and will win if they eliminate the attacking team. The game modes are fairly similar in design and both feature a 5v5 layout in most competitive tournaments. However, the different objectives provide interesting game play of a similar vain to CS:GO and Search and Destroy in CoD. Get started on R6 betting today! Once you have gained a grasp of R6 and begin to follow the scene, it is now time for you to start betting! If you have not already, check out the list of bookmakers above and make your first deposit. If you are still not sure about placing money, take a look at some more R6 tournaments and teams through https://liquipedia.net/rainbowsix/Main_Page. I’d also advise picking up a copy of R6 through Steam so that you can better understand the game you are betting on, and also build up your analysis skills through your own playtime. Be sure to follow us on Twitter @esportsbets24 for more news, predictions and betting advice!